In all likelihood, this list is incomplete, because I'm actually writing this post on May 23rd, and project I will finish at least one, if not two, more books before the end of the month. If you follow me on Instagram, you probably already know this. And if you don't follow me but want to see all the overposting of my adventures, feel free to visit my account. Or just wait a bit, because I'm sure I'll write up a whole post (or three) all about my literary and otherwise adventures in the great birthplace of English literature when I get home. So you can look forward to that. Anyway, back to books. So far this month (as of the 23rd), I've finished five books. Not too shabby, considering I lost all my reading commute time this month. Does it seem like I read a Sanderson novel (or two ) every month? Yeah, but don't worry, I'm finally caught up! I've read every cosmere novel to date, and will now be taking a nice break from Sanderson. At least, until he writes his next cosmere book. Which will probably be soon, since he seems to pump out a novel two or three times a year (the man is a machine). 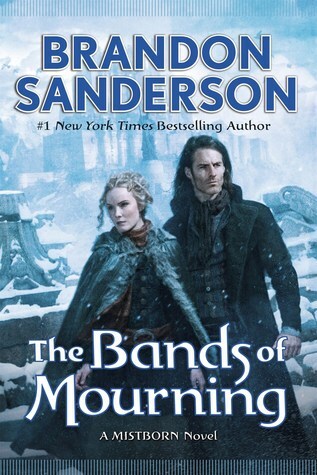 Anyway, it's the usual review: if you love fantasy, you've got to read Sanderson. If you don't love fantasy, don't even bother. One note I will say on this one, it offered some interesting reflections on the question of why God "allows" bad things to happen, or just the ways God's insight and reasoning might be different than man's. (If you're surprised by religious themes in a fantasy book, Sanderson is all about interesting religious world-building, all of his magic systems have to do with "divine" power in some way or another). 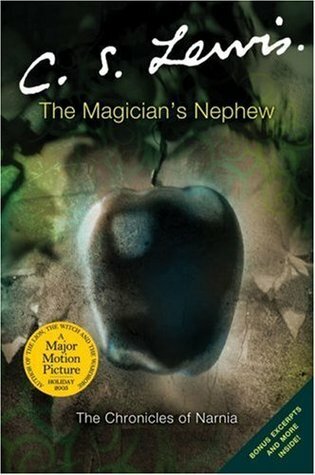 So, this one's been on my to-read list for a looooong time, probably due to some glowing review I read years and years ago. 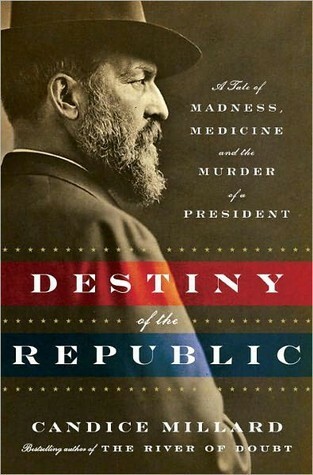 But every time I saw it on the list, I was just sort of like, a biography on James A. Garfield? How interesting can that be? Turns out, really, really interesting! I mean, I know he's barely memorable as a president, but his life is actually a really amazing story, and all the other historical people Millard weaves into the tale are completely interesting as well. My only complaint is that I wish she would've spent more time on his early life and marriage. It all gets mentioned eventually, but the majority of the focus is on his short presidency. Still, if you like histories and biographies that you will feel compelled to tell everyone you know all about, then this one is a definite recommend! 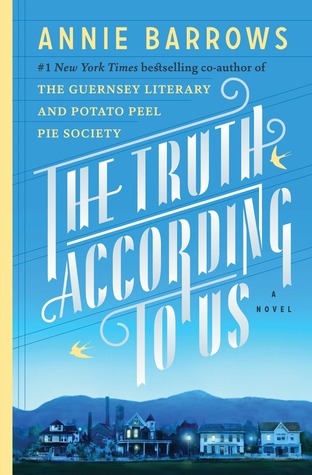 The short review of this is that it's a rather well written slow but engaging character-driven novel that's perfect for summer with just enough substance to keep it from sliding into fluff-land. I rather highly recommend it, especially if you enjoy historical fiction with suspenseful mysteries (kind of). The longer review of this will need another post to suss out, because I had some very conflicted feelings about the ending. But that post (if it happens), would have to be full of spoilers, so go and read the book first! Yes, and yes, and yes! 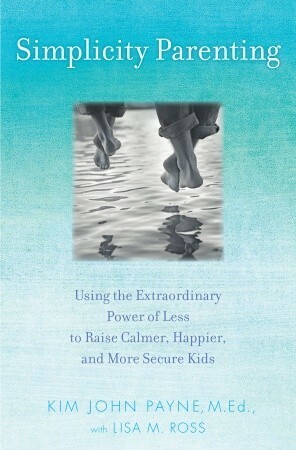 I love everything about the style of parenting that Payne advocates for in this book. And even though I can't recommend it for it's writing (the content is repetitive and his tone is a bit patronizing), I highly recommend all the values about simplifying kids lives. Payne covers four areas of simplification: environment (stuff, toys, books, clothes), rhythms (routines!!!! ), schedules (stop doing all the things! ), and media/news/adult worries. Basically, this book validated everything I strive to do as a parent. Even though we are super busy, and even though I feel all sorts of guilt about needing childcare, my focus is always on having firm routines, predictability, time for connection, time for play, and not a lot of stuff (in fact, I threw out a bunch more toys right after reading this book, and so far they haven't been missed). I still feel pressure about doing more activities (we already do violin, and now we're adding baseball, and maybe soccer, and swim lessons, and feel all the pressure to do everything else to keep up with other kids), but I'm fighting that and telling myself that some activities are okay, but we don't need (and can't afford) to do everything! No one will die this summer if we are a little bit bored! Okay, I'll fill you in on my other reads for May with my June round-up. For now, enjoy your summer reading! Hope you're having so much fun in England! What a vacation! Creating an intentionally bookish lifestyle. Welcome to Such Stuff. Oh, I forgot how much I love this one! Such wonderful new characters, such heartbreak, such joy. I love it even more now as a wife and mother (who will maybe someday get a house of dreams too! ).